1920th years. Industrial production of microfilms, for the purpose of reduction of volume and the guaranteed storage of the documentation by paper carriers, has begun since 1926 when George Mccarthy, the vice-president of the Bank of New York, has invented the rotational microfilming chamber for automatic copying of bank documents. In 1925 the patent for microfilming chamber "Checkograph" has been taken out. After a while rights of use of this technology have been transferred “Recordak“ – to structural subsection of the company " Кодак". 1930 – 1940th years. Since 1930th years of the last century, use of technology of microfilming was included into practice of industrial, governmental, banking and other establishments of the United States of America, except that, governmental bodies of the USA widely used microfilms during the Second World War (V-Post, espionage, storage of documents, etc.). The military items of mail, in particular addressed abroad the USA, were transferred on a V-post microfilm to laboratories in the Pentagon building. Thus the V-post microfilm made only 1/65 from weight of usual mail that saved 98 % of cargo space. Over one and a half thousand messages and letters was located on one rolled microfilm. In final days of the Second World War Allies had been grasped a significant amount of German and Japanese documents on microfilms which have been used further by Air fleet of the United States. On more than 5000 coils of microfilms the different information contained: engineering specifications on the planes, supervising documents, reports on tests, etc. 1950 – 1960th years. At this time the concept of use of microforms for active information systems has been offered and realized. Thus the microform was used as the data carrier for safety of the information and its use. Considerable improvement of technologies of microfilming of the documentation at this time has taken place. 1970th years. At this time there was an information explosion, the quantity and information volume that has led to more active use of microforms as alternatives to more valuable printing materials has essentially increased. Data carriers and a microfilm have been improved, there were portable devices for reading of microfilms which have made technology of microfilming of the documentation more favourable regarding economy of means. 1980th years and till our time. Company "Kodak" introduces in manufacture new microfilms on the basis of polystyrene that became the standard for all other manufacturers. At the previous carrier "Kodak Safety Film" which used an acetate basis, the essential lack – allocation of acetic acid (an acetic syndrome) has been revealed. The acetic syndrome almost imperceptibly passed decades and led to destruction of microfilms. 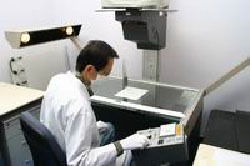 New manufacturing techniques and storages of microfilms at carrying out of tests for the accelerated aging in laboratories of modeling of the USA have shown that the modern microfilm can be stored over 500 years that has found the display in system of standards of the USA – ANSI. The beginning to creation IFD has put the decision of Ministerial council of the USSR from April, 13th, 1959 which obliged Ministerial council USSR to carry out a series of measures, directed on preservation of the information which have been removed on a microfilm. Council of a national economy of the Kharkov economic administrative area, carrying out the mentioned decision, has given out on June, 5th, 1959 the order about the organization of a special photolaboratory “for photographing on a microfilm”. Process of formation of insurance fund of the documentation has fallen outside the limits of technological process of microfilming. The specifications structure should be full enough that would give the chance to provide instantly needs of mobilization expansion and to restore or introduce military technology and arms release. Besides, the documentation condition should was be such to recreate from a microfilm full-size paper copies without errors in the schedule and the sizes. 1992 became the period of considerable basic changes in life of the country and in system of insurance fund of the documentation of Ukraine. The state committee of Ukraine on the defensive industry and mechanical engineering has given out on March, 12th the order “About appointment of the Ukrainian State research and production center on insurance fund and mobilization preparation by the main thing concerning creation of insurance fund and mobilization preparation in system Gosoboronprommasha”. So the base on which the system of insurance fund of the documentation of the independent Ukrainian state has started to be created was based. On October, 21st, 1992 the President of Ukraine has signed the Decree about creation of the State research and production center of insurance fund of the documentation of Ukraine (State center IFDU) on the basis of the Ukrainian State research and production center of insurance fund of the documentation and mobilization preparation, and also other enterprises and organizations Minmashproma of Ukraine which had similar divisions. Practically from zero, in the conditions far from optimum, all attributes of independent branch have been generated. In this time was created 8 regional research-and-production centers IFD to which functions of creation IFD, and also granting to the enterprises, establishments and the organizations of the scientifically-methodical help for corresponding questions have been assigned. At State center IFDU in 1992 Technical committee of Ukraine on standardization “Insurance fund of the documentation” (ТК 40) which primary goals became is organized: research, examination and working out of regulatory legal acts and standard documents on standardization in sphere IFD, the analysis of the scientific and technical information; scientific and technical cooperation in the international organization of standardization ISO. Formation in March, 1993 in system IFD of the main organization concerning scientific and technical maintenance of functioning of state system IFD – Research, design and micrography institute of technology became important event for development of insurance fund. Till this time in Ukraine there was no scientific organization which would be engaged in scientific and technical activity in this area, solved challenges of scientific and technical and economic forecasting of development of a science, technics in a direction of creation of insurance fund of the documentation. Besides, functions of working out of methodology and criteria of creation of insurance fund of the documentation have been assigned to institute, granting of the scientific, methodological help to the enterprises of system IFD concerning creation, formation, conducting and use of documents of insurance fund; working out of is standard-legal maintenance of functioning of insurance fund of the documentation; working out of the State register of potentially dangerous objects. In 1994 State center IFDU structure included the state enterprise "Business tie" which defined requirements to creation and building of modern telecommunication and communication. It is necessary to notice that process of formation of insurance fund of the documentation occurred in our country difficult enough. It was negatively affected by frequent changes of the officials responsible for this site of work, both on all Ukraine, and at regional levels, and also an economic crisis in Ukraine. In April, 2000 there was a Decree of the President of Ukraine which has defined a principal organ in system of the central enforcement authorities concerning state policy realization in sphere of creation of insurance fund of the documentation the Ministry of Ukraine concerning emergency situations and on affairs of protection of the population from consequences of Chernobyl accident. And direct performance of these problems is assigned to State department IFD that became the assignee of State center IFDU. Since December, 2010 according to the Decree of the President of Ukraine the central enforcement authority which provides state policy realization in sphere of creation and functioning of the state system of insurance fund of the documentation is the State archival service of Ukraine, and direct performance of these problems is assigned to State department of insurance fund of the documentation. The documentation which is stored in the traditional form on paper carriers, constantly is exposed to risk to be lost owing to natural disasters, technogenic failures, fires, etc. the problem of storage of the documentation in the form of a microfilm or electronic (computer) carriers is actual. But computer data carriers don't provide long-term storage of the information and in 5-10 years, and under adverse conditions and in 2-3 years, there can be information losses. Besides, availability of modification doesn't allow to recognize the information, which store in the computer form, legally authentic. The microfilm provides storage of the information which completely answers the original, throughout a warranty period, that is not less than 75 years. Important stimulus for application of microfilms is possibility of restriction of access to the information. Security of a microfilm from damages considerably above, than at the machine carrier. Besides the microfilm is the compact document. 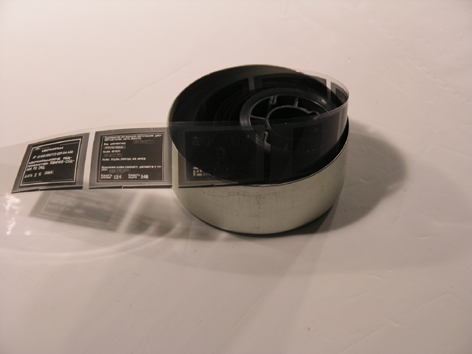 The parity dimension - weight characteristics of the microfilm which has been removed from paper documents, and the documents, makes more than 1:150. Formation of insurance fund of the documentation was and is business unique on complexity and value which far falls outside the limits technological process of microfilming. Its radical difference from archives consists in necessity of constant modification of documents of insurance fund. - Period of storage of 100-500 years. - High compactness of a data recording. - Simplicity and reliability of a reprography. - Profitability of technological processes. - Legal security and adequacy of a copy to the original. - Rather simple ways of maintenance of confidentiality of the information.